“Fay” is a daughter of the Austrian imported stallion, Nobelius, and a daughter of the great producing mare, Francisca GF. Francisca, herself a sale topper and a great performance horse as well, has produced many outstanding daughters and “Fay” is no exception. Fay was inspected by AHR in 2007 and received a high silver classification score, which included an individual score of “9” on her head. As a young mare, Fay already has taken home many awards for Genesis Farm. 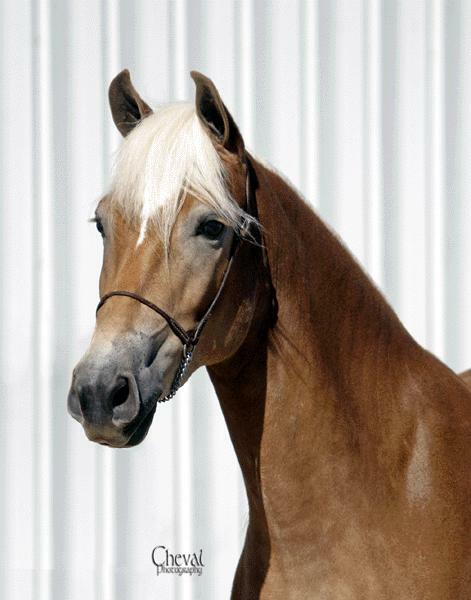 She won 1st place in the 2-year old mare division at the Buckeye Haflinger Show in 2007. She went on to become the two year old jackpot champion at the show as well , eventually also earning the title of “Reserve Best of Show”. At the 2007 AHR National Show, Fay continued her winning ways for Genesis Farm. She earned 1st place in the 2-year old mare halter class out of a very competitive group of entries. She also took home the honor of 2007 AHR National Junior Champion Pleasure Mare. If that was not enough, Fay composed one of the mares in our 1st place “Best Three Pleasure Mares” entry at the AHR National Show as well. In January 2009, Fay gave birth to a stud colt out of our AHR GOLD classified, two-time AHR National Champion stallion, Alfa of Genesis. This foal was aptly bestowed with the name “Action Packed of Genesis” (barn name: ‘Turbo’). We are very excited about the potential of this breeding cross as in Austria, the Alpenstein and Nabucco crosses have produced many champions as well as high inspected offspring. For now, we are enjoying watching Turbo grow and he becoming quite tall and elegant. True to both Alfa and Fay’s dispositions, Turbo is very calm and a joy to handle around the barn. 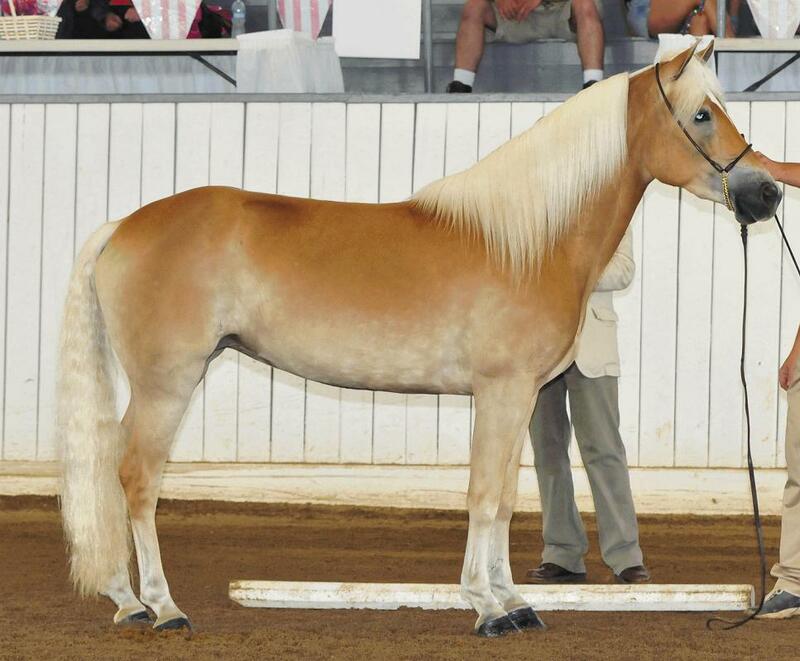 He has already been sold to a farm in Idaho as a performance gelding prospect.